Smart decisions about natural resource management typically include two things: collaboration between diverse perspectives and data from various scientific sources. These are the bread and butter of NCEAS, as well as of two scientists we recently welcomed to our community: Will McClintock and Grace Goldberg. In August McClintock and Goldberg migrated from the UCSB’s Marine Science Institute (MSI) to NCEAS to join us as a Senior Fellow and a Specialist, respectively. While maintaining their MSI affiliations, as formal members of the NCEAS community they will be able to enhance and amplify their work in the development and implementation of innovative software that facilitates collaborative, data-driven decision-making for managing oceans sustainably. This 3-day, hands-on workshop will help resource managers and scientists understand and apply a suite of cutting-edge scientific tools and methods to support effective management decisions related to ecological regime shifts, fisheries collapse and other types of dramatic ecological change in the ocean. It will be taught by an interdisciplinary team of scientists and law/policy experts with experience developing and applying these methods. An international team of scientists investigating the effects of six planned or potential Andean dams on the Amazon river system has found that major negative ecological impacts can be expected both above the dams and throughout the lowland floodplains and the Amazon Delta. The authors warn that, if not well planned, the construction of these dams and other infrastructure development in the Andes headwaters could have catastrophic effects across the entire Amazon River basin and threaten the food security of millions of people. The study, entitled “The potential impact of new Andean dams on the Amazon fluvial ecosystem,” was published on August 23rd in PLOS ONE and conducted by the Amazon Waters Initiative, an offshoot of the former Amazon Waters working group supported by the Science for Nature and People Partnership (SNAPP), one of NCEAS’ collaborative initiatives. 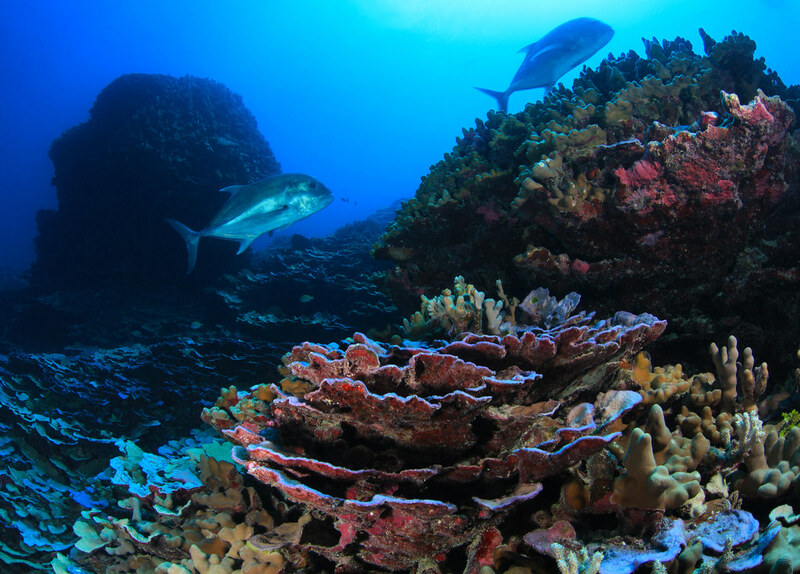 Covering 70 percent of Earth’s surface, the world’s oceans are vast and deep. So vast, in fact, that nearly every coastal country has the potential to meet its own domestic seafood needs through aquaculture, and each country could do so using a tiny fraction of its ocean territory. So finds a study from the Science for Nature and People Partnership's (SNAPP) Sustainable Aquaculture working group, led by scientists from UC Santa Barbara and including researchers from the Nature Conservancy, UCLA and the National Oceanic and Atmospheric Administration. Their research, published August 14th in the journal Nature Ecology and Evolution, demonstrates the oceans’ potential to support aquaculture. Also known as fish farming, the practice is the fastest-growing food sector and poised to address increasing issues of food insecurity around the globe. Determining the best course of action for protecting an ecosystem and the human livelihoods dependent on it is no quick and easy process, despite the urgency often felt around it. It can take months, even years of sifting through piles of studies to track down the evidence needed to make the right decision – until now. Researchers from the Science for Nature and People Partnership (SNAPP), in partnership with Conservation International and DataKind, recently launched Colandr, an open-access machine learning application that allows for faster sifting and winnowing of scientific data to help conservation practitioners and policymakers find the evidence they need to make science-based decisions more quickly than ever before. Through small shifts in human pressure or environmental conditions, tipping points bring about large, sometimes abrupt changes in a natural system. From collapsed fisheries and coastal dead zones, to melting sea ice and dying coral reefs, the detrimental consequences of tipping points are well known, yet practical tools for coping with them have been limited. To address this challenge, researchers from the Ocean Tipping Points project recently launched a new online portal that provides concrete analytical tools and resources to help ocean managers predict, prevent and even recover from tipping points and keep ecosystems healthy and resilient. It is with deep sadness that we announce Brad McRae, a former NCEAS post-doc and dear friend to many, passed away last week from stomach cancer. He is survived by his wife and two children, ages 2 and 4. This is a significant loss to the NCEAS community and the scientific community as a whole. Part of the NCEAS mission is to catalyze scientific collaborations that go beyond its working groups. This week, we welcome the newest research offshoot: the Conservation Aquaculture Research Team, or CART, which emerged from the Sustainable Open-Ocean Aquaculture Working Group of the Science for Nature and People Partnership (SNAPP). “We see CART’s primary mission as bridging the scientific gap in understanding between aquaculture, climate change and larger food systems to inform policy and help align seafood production with conservation objectives,” says co-founder Halley Froehlich, who was formerly a postdoctoral researcher for the working group. For perhaps the first time ever, the world’s oceans have a health record, and we’re getting some clues as to what might be underlying its symptoms of improvement or decline. A study by a team of researchers from NCEAS and Conservation International synthesized five years’ worth of vital signs on a host of indicators – ranging from water quality to food provision to tourism potential – and found that while overall ocean health appears to be stable, the oceans around many of the 220 countries analyzed are changing, and in many cases not for the better. Their results are published in PLOS ONE. If you haven't met Mark Schildhauer, you're truly missing out. Mark joined NCEAS as its fourth employee and has been NCEAS' Director of Computing ever since. When he started, there was a lot of skepticism around NCEAS' core mission, but that skepticism was dispelled as NCEAS changed the culture of science. Before Mark heads out, we wanted to share some of his reflections on his time at NCEAS and how the center has evolved. As the climate changes, there is a growing need to understand how climate variability will affect threatened and endangered species. Wild primate populations may have a low capacity to adapt to climate change due to their highly fragmented ecosystems and limited ability to shift their geographic distribution. To understand which primate species may be most impacted by climate variability, researchers with the SNAPP Primate Life Histories working group studied seven wild populations in the tropics. Their new paper, published recently in Global Change Biology, provides a quantitative basis for predicting how climate change might impact the survival and fertility rates of these primate populations over the long-term. In a recent commentary piece in Applied Vegetation Science, NCEAS Senior Fellow Chris Lortie explores the use of plant facilitation - positive interactions between plants - through the lens of the “Fix-it Felix” effect. Fix-it Felix is a fictional character in the movie "Wreck it Ralph" who can only fix things, no matter the context. So does plant facilitation always promote better outcomes no matter the context, so are there gradients, contexts, or both positive and negative interactions that mediate the restoration outcome? Freshwater ecosystems in tropical oceanic islands are highly vulnerable to species loss from human disturbances, such as deforestation and introduced exotic species. A key challenge for designing appropriate species conservation measures is measuring the impact of multiple disturbances. Most conservation measures group species by taxonomic ranking to predict their response to disturbances. But, in a recent study in Freshwater Biology, scientists with the SNAPP Ridges to Reef Fisheries working group propose a better predictor is grouping species by similar functional traits, such as habitat preference and diet. Leaders from synthesis science centers across the globe, including NCEAS’ own Ben Halpern and Frank Davis, published a piece in Bioscience highlighting the critical role these centers play in advancing scientific research and the need for long-term federal funding to sustain their value. After the Spill: Did the Exxon Valdez Oil Spill Affect the Groundfish Community?